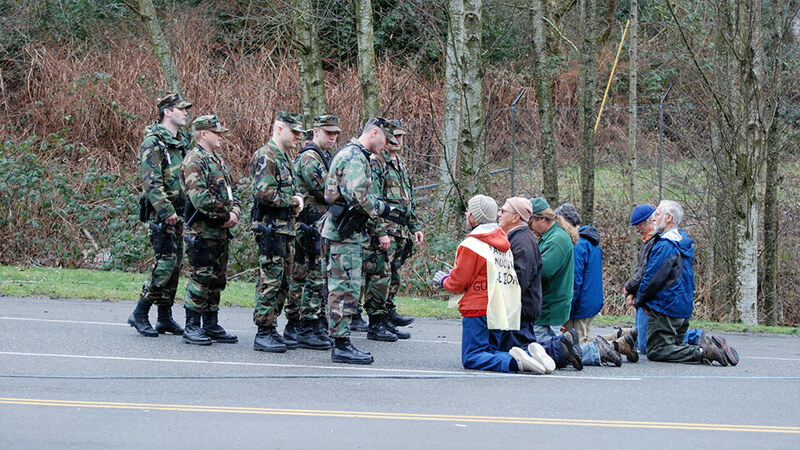 Since 1980 activists in lay and religious life have undertaken dramatic Plowshares protests, derived from the biblical injunction, “They shall beat their swords into Plowshares,” risking long prison sentences in an ongoing campaign to move the world away from the nuclear brink. This film follows two cases: the July 2012 break-in at the site known as America’s “Fort Knox of Uranium” where the intruders were an 82-year old Catholic nun and two fellow peace activists and the 2009 Plowshares action at a US naval base near Seattle, WA. It follows the activists’ legal efforts to justify their actions under international law and highlights the power of their moral conviction.